DirectionsHead north on M-129. Turn right (east) onto 22 Mile Road. 0.5 miles along this road and you will reach the acquisition land which is on the right (south) side of the road. 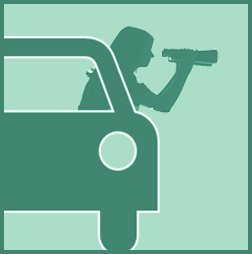 There is a small pull off near the brown informational sign that allows for 1-2 cars to park. You can scan the fields from here or can walk through the fields, although no formal trails exist. Birding InformationA large parcel added to the Munuscong State Wildlife Management Area, this area is relatively un-birded but has great potential. Le Conte’s Sparrow, Sedge Wren, Alder Flycatcher, Bobolink and Savannah Sparrow are all birds that can be seen here. Northern Harrier and American Kestrels are additional species that can be found here. While there are no trails through this area, once can scan for birds from the small pull off that exists here, or one can travel through the grasslands on foot with a spirit for adventure. 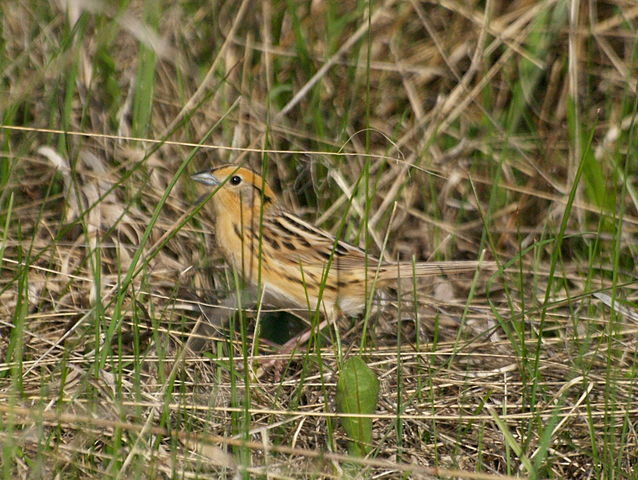 Le Conte's Sparrow in grass cover.